Nutrition is hard to get 'right'. It takes time to find a regimen that works for you. It took years before Tarahlynn figured out how to fuel her body the right way. "I started using PumpUp right around the beginning of my fitness journey," she mentioned. "I ran cross country for a few years, so running was really all I knew. I paid no attention to what I ate or how much I was eating. I didn't eat breakfast or lunch, just little meals and a big dinner. At some point in the day, I would go for 1-3 mile runs and I had no idea how to properly provide my body with necessary nutrients." Tarahlynn's freshman and sophomore year of high school were particularly tough. After she experienced a tragedy in 2012, she developed depression and anorexia. "My grades slipped and relationships faded as I lost the motivation to continue waking up in the morning," she remembered. "At 80 pounds, I was ashamed to look at myself in the mirror. I knew how terrible I looked with my ribs and spine in plain view. My hair would fall out, my teeth decayed; I became a shell. A walking corpse. No one ever talked about eating disorders, I had no idea how to go about fixing myself." With time, hard work, and a support system, Tarahlynn overcame this emotionally turbulent stage of her life. She has maintained a healthy weight for over a year. "I feel amazing, but I know that there are people out there who are struggling and have no idea how to help themselves," she shared. "This is what pushed me to getting a degree in Exercise Science and become a personal trainer. It combines two things I have a passion for: exercise, and helping people. Nobody deserves to feel trapped in their bodies." To stay motivated at the beginning of her journey, Tarahlynn looked for a fitness app that would keep her accountable. "I just couldn't find anything that I liked," she recalled. "Every app was either too complicated or didn't provide many options for tracking. When I found PumpUp, I was so excited! Creating goals and tracking is easy, plus so many different activities are provided. I was a little wary of the social aspect, as I've seen so many apps try it and fail: they always end up going off track." PumpUp's community boosted Tarahlynn's drive to achieve her fitness goals. 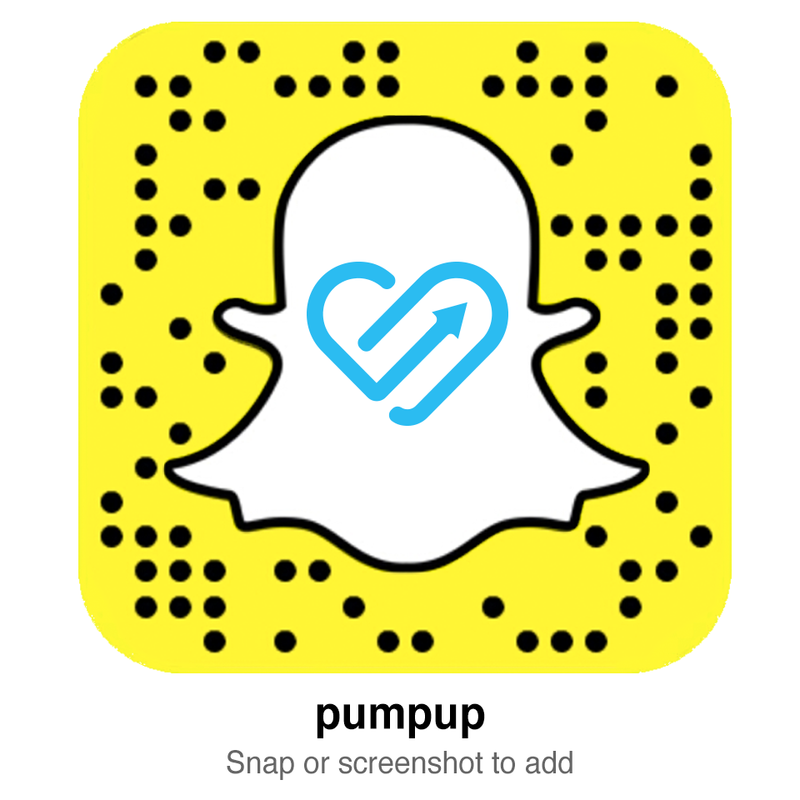 "Eventually, I [began] to LOVE the social aspect [of PumpUp]. Everyone is so motivating and seeing others' progress is really exciting. It kept me motivated and frankly, encouraged me to keep working out. I've always been the type of person who has to write things down and physically see the work I've done. Not wanting to see blank spaces (missed workouts) or look like I was slacking really kept me from stopping." Now, Tarahlynn pays more attention to her food intake and she incorporates strength training into her routine. "Before, I would never dream of measuring and weighing my portions, but it's just a natural part of my process now," she revealed. "I'm still struggling with my picky-ness when it comes to food, but eventually I'd love to share my meals for others to get ideas!" Moving forward, Tarahlynn intends to inspire others along the way as she makes more progress with resistance training. "I hope to serve as an example that with hard work and determination, anything is possible," she insisted. "I've combated so many obstacles in my life and I took it all out on my body. I went through hell and back, and came out stronger. I want to provide any motivation and advice that I can to those who were in similar situations to what I was in." As a first year Exercise Science student, the most important point each class has brought up is that obesity and overall unhealthy diet and exercise habits are at an all time high. I have plenty of family and friends who struggle with it. Joining apps like PumpUp or keeping logs for food and exercise are an amazing start! Seeing your accomplishments can really be the push to keep you going. Also, you don't need to be running 5 miles a day or deadlifting 400 pounds. Just going for a walk, taking the stairs instead of the elevator, or incorporating some stretching to your day can do wonders. You only have one body. You need to cherish it and take care of it! Start with little changes and short term goals rather than saying "I'm going to lose/gain 10 pounds in a week" or "I'm going to start eating healthy and working out every day starting tomorrow". Baby steps! As cheesy as it sounds, my biggest motivation is my boyfriend, Stephen. He really introduced me to a side of fitness I had no idea existed. Being quite the cardio bunny, my upper body was seriously embarrassing. He worked with me day after day in the gym and showed me so much patience. He was very tough on me, he never let me quit or say I couldn't do it. It was tough and I walked out so sore I could barely drive home, but the results didn't lie. I had never been happier to see baby biceps. He's had my back the entire time we've known each other. He loved me when I was 80 lbs, and he loves me now when I'm 120 lbs. He's incredibly smart and shows so much passion in everything he does. The last thing I'd ever want to do is let him down. Running has always been my favorite workout. I've been running since 7th grade. I'm not the best at it with my asthma, but the way my body feels after a good run is almost euphoric. It was a great way to ease the stress of school. If I can't stop obsessing over something someone said or did, or a test I did bad on, I'd simply go for a run and everything seemed to feel better. I'm currently bodybuilding! Despite many negative comments from peers ("Don't get too big", "Guys don't like muscley girls", "You'll look gross/scary") I've continued my journey. I started at 107 lbs and am now at 120. I love my new muscle, and being able to carry gallons of milk to the cash register without taking a break is a plus! When I was underweight I was told I looked sick, and now that I'm bodybuilding I'm told that muscles are scary on girls. And I've realized, you can't make anyone happy. So the only person you need to make happy is yourself. If you're healthy and love your body, that's all that matters. Keep Tarahlynn pumped! Find her on PumpUp @tarahlynn and leave positive words of encouragement for her in the comments below.